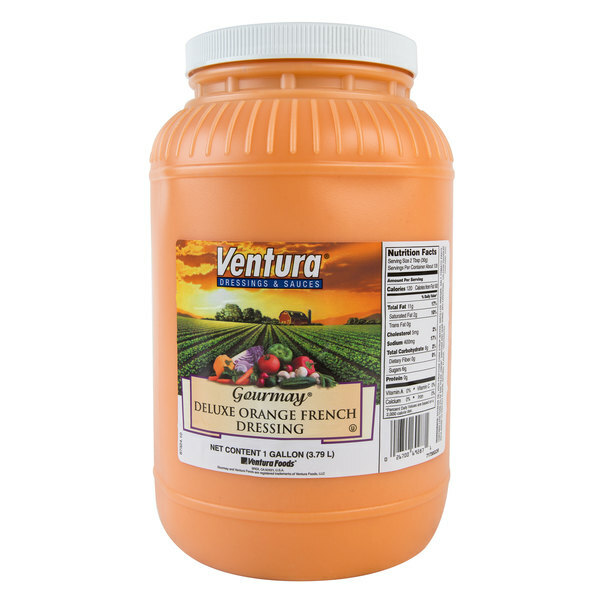 Offer your customers the creamy dressing they crave, with this Ventura Gourmay 1 gallon deluxe orange french dressing! This dressing features an ultra-creamy consistency, and flavor-rich recipe. Use it to top your signature salads, sandwiches, or subs. 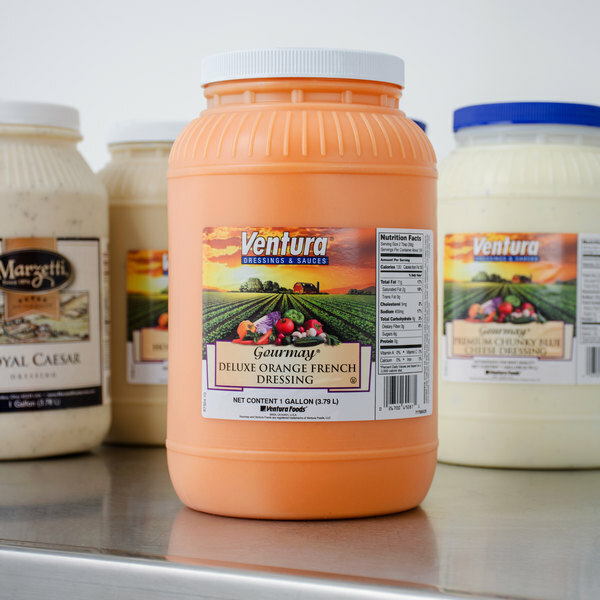 The tangy flavor makes it a favorite among patrons, while the ample 1 gallon container ensures continued service. 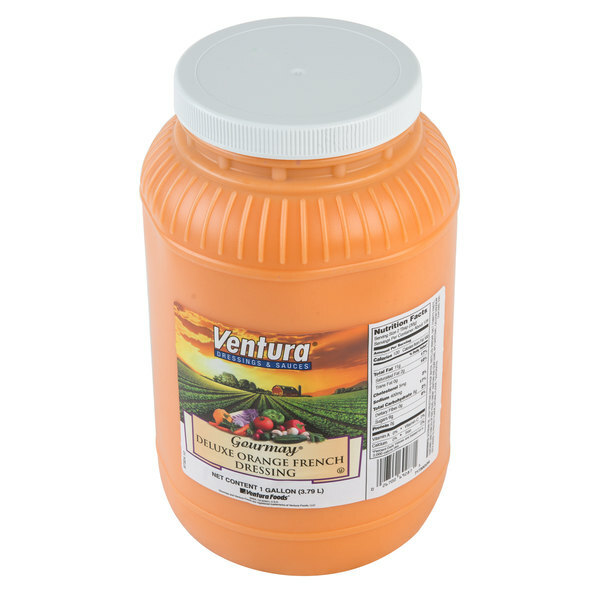 This french dressing is perfect for restaurants, bars, delis, and diners. 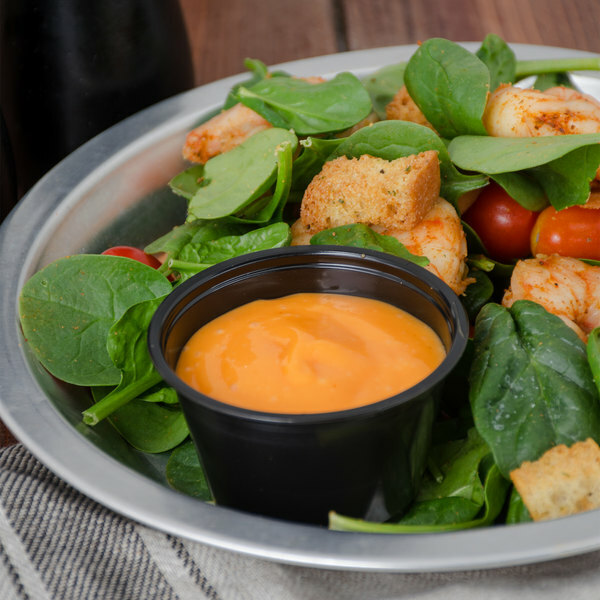 French dressing is an oil and vinegar based dressing thickened by tomato paste that also gives it a distinct orange color. Plus, everyone will love its thick texture. 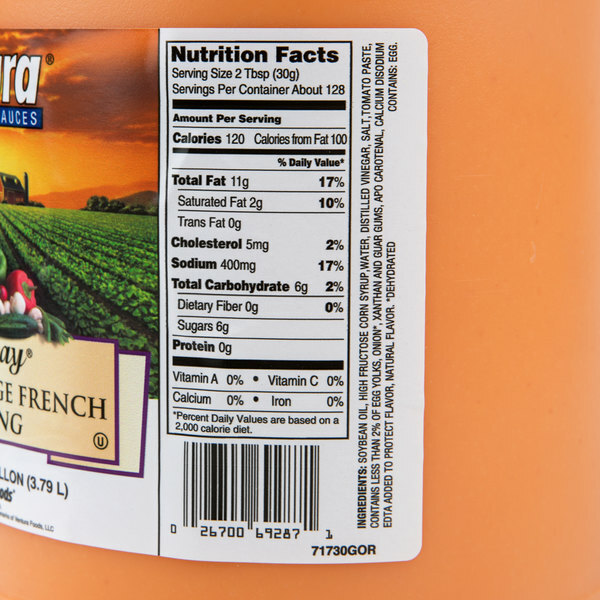 When serving premium sauces, turn to this french dressing to take the labor out of prep work.